Puttur Apr 04 2019: Three children, who reportedly got into a drinking water tank near their residence to play, drowned in Uddangala in Bettampady village, Puttur taluk, on April 3, Wednesday. The police gave the names of the victims as Jitesh, 13, and his cousins Vismita, 13, and Chaitra, 9. All were students of Dakshina Kannada Zilla Panchayat Higher Primary School, Mittadka. The police said the children returned from school in the evening and went to play near the public drinking water storage tank that was constructed three months ago. When the children did not return home, their concerned parents and residents launched a search only to find the bodies in the tank. Angry residents carried out a flash protest against what they called negligence of the panchayat personnel in keeping the tank lid open. Superintendent of Police B.M. Laxmi Prasad, Assistant Commissioner Krishnamurthy and panchayat president Baby Jayaram Poojary visited the spot and consoled the family members and residents. Jitesh was the son of Ravi Moolya and was studying in class 7. Vismita, also a class 7 student, and Chaitra, a class 4 student, were the daughters of Ravi Moolya’s brother Harish Moolya, the police said. 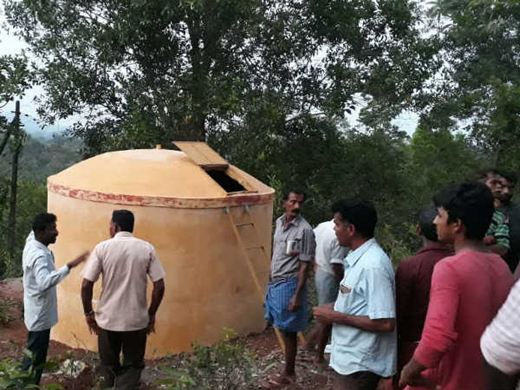 Three children, who reportedly got into a drinking water tank near their residence to play, drowned in Uddangala in Bettampady village, Puttur taluk, on April 3, Wednesday. The Puttur Rural Police have registered a case.